Sometimes I wonder if over-simplifying and rushing through a job so it can be called "done" is a symptom of harried, scheduled-to-the-minute Western culture. Repairs on autos, computers, connections, and so on are often incomplete. Proper diagnostics are not performed and necessary questions are not answered. Although saying that something "should not be so" is akin to wishful thinking, I think I am on solid ground when I say that scientific pursuits should be done properly. This is clearly seen when evolutionary scientists do the "rush to market" approach with their pronouncements, especially in the area of genetics. The human genome was examined with selected information and outdated equipment, and it was discovered that scientists were full of hooey regarding "junk" DNA. Worse, the human-chimpanzee genome similarity myth was done with a prairie schooner-load of bad science and circular reasoning, but the "98 percent similar" myth still lives on with Darwin's uninformed disciples. Scientific research should not stop when secularists get the results they desire, old son. 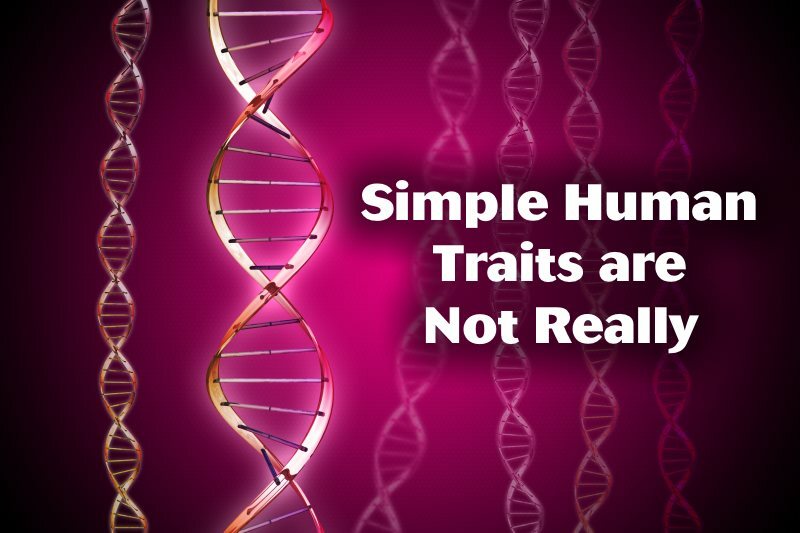 Some human traits that are called "simple", are not simple. Some scientists took a notion to do some actual science work, and found that ear lobes and skin color are not controlled by the simple genetics they had at first believed. We are the creation, not the Creator. He is wise, and has shown his skill through methods we are only beginning to understand. The hubris of secularists is embarrassing to the rest of us. Many people were told in biology class that some basic human traits reflect simple genetic principles. One example is how earlobes are attached. When I was in high school, our biology teacher told us to examine each other’s ears and see how many had attached versus unattached earlobes. Attached earlobes do not have a lobe that dangles. In general, there were many more students with unattached than attached earlobes. We were told the attached variant is an example of a classic single-gene recessive trait, an explanation that makes genetics appear overly simple. 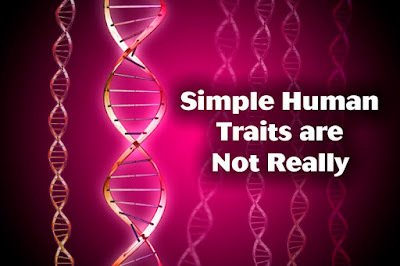 To read the rest of this short article, click on " Human Traits Not So Simple After All".